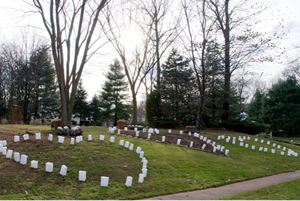 Many people want to include the whole neighborhood or community in a luminary event. This can be used as a fundraiser or just a way to get folks together for an occasion. We have a sample letter that can be used to send out to folks you want to participate in your event. We have links to both a PDF version, or if you have Microsoft Word, we have a Word document, which you will be able to modify to meet your needs. Copyright © 2019 Illuminations, Inc. All rights reserved.